After these things there was a feast of the Jews, and Jesus went up to Jerusalem (John 5:1). Jesus had dear friends in Bethany, and there are multiple times in the Gospel accounts where he detours to visit them on his way to Jerusalem. If he did the same thing this time around, he would have traveled by the village of Bethphage as he made his way over the Mount of Olives. 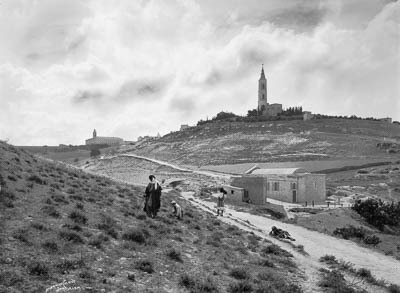 At the time this picture was taken (between 1898 and 1914), only the small Franciscan chapel in the foreground preserved the location of that ancient town. Now there is in Jerusalem by the Sheep Gate a pool, called . 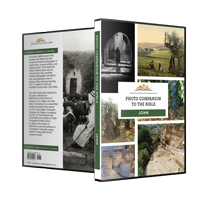 . . Bethesda, having five porticoes (John 5:2). 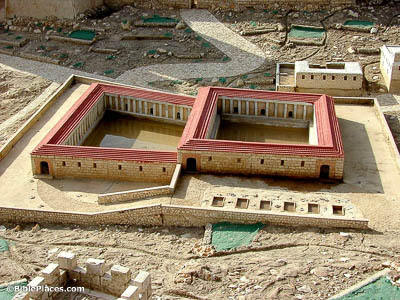 This model recreating the Pools of Bethesda shows the five porticos mentioned here. Covered walkways surrounded the structure on each of its four sides, with a fifth built over the dam that separated the two pools. These would provide shade for the sick and injured as they waited for their turn to be healed. In these lay a multitude of those who were sick, blind, lame, withered (John 5:3). Though the Pools of Bethesda remained in active use by the cult of Asclepius in the centuries after Jesus, it has long since been filled with sediment. Only a small portion of the pools are visible today. 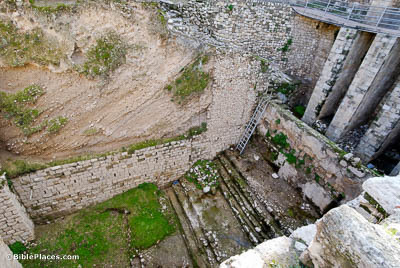 Fortunately, what has been excavated suffices to show just how deep these pools were, and reveals a set of steps that may have been used by those who were sick as they entered the water. Get up, take up your mat, and walk (John 5:8). 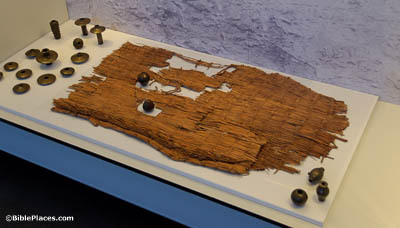 Mats have been a popular seating option for a remarkably long time. This example, whose preservation is extraordinary, dates to the 4th millennium BC. It was found not far from the Dead Sea, where the constant dry heat kept decay at bay. One can easily imagine the sick lying on similarly humble mats as they waited for their chance in the pool. The Father . . . has given all judgment to the Son (John 5:22). When Western readers hear the word “judge,” it’s usually associated with courtrooms and powdered wigs. But when 1st century AD disciples heard the same word, they probably thought of one of these. Called a bema, these raised platforms were used by orators as they gave speeches, and by judges as they presided over issues. 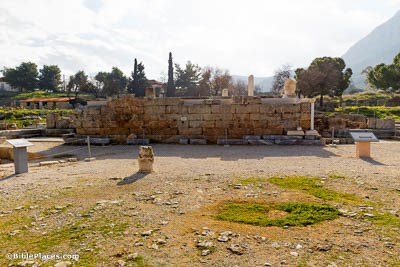 For example, this particular bema in Corinth is where the Roman proconsul Gallio heard testimony against Paul (Acts 18:12-16). A time is coming, in which all who are in the tombs will hear His voice (John 5:28). This prophecy concerning the resurrection, spoken in Jerusalem, would not have seemed abstract in the least. Whereas modern graveyards tend to be out of the way, in antiquity it was common to place tombs right outside of the city; and Jerusalem is no exception. 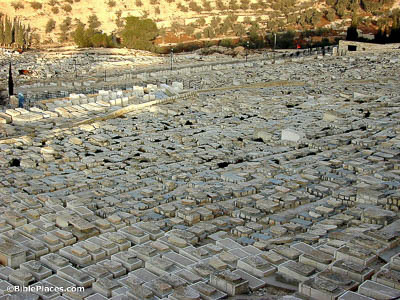 The Mount of Olives, within clear eyeshot of people inside the city, has always been a popular place for burying the dead, as evidenced by these crowded plots. In fact, it is considered an honor for Jewish people to be buried here, due to the belief that the resurrection will begin at this spot when the Lord returns (cf. Zechariah 14:4).